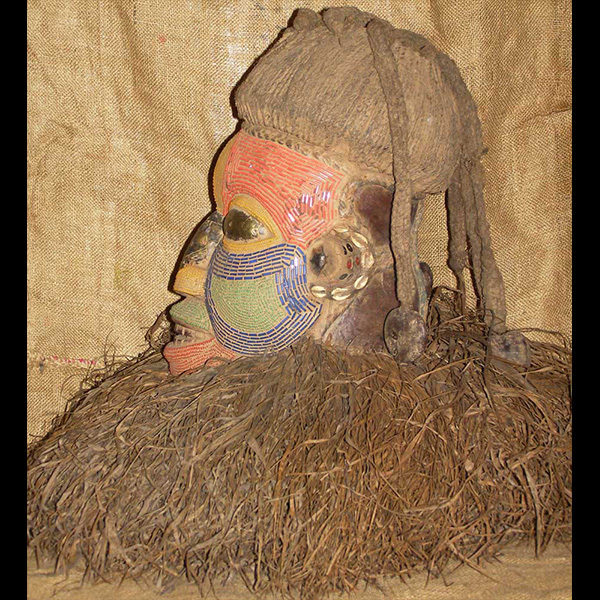 African art and masks from the Bamileke. 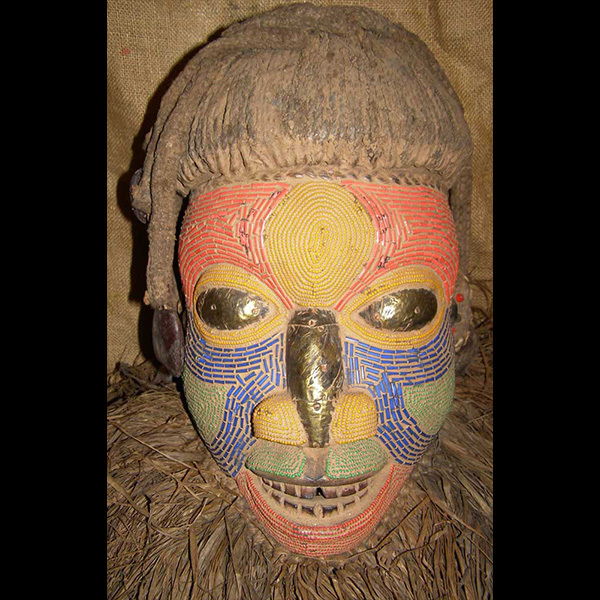 This beaded mask from the Bamileke people of Cameroon measures 20 inches tall and the face is 10 inches wide. 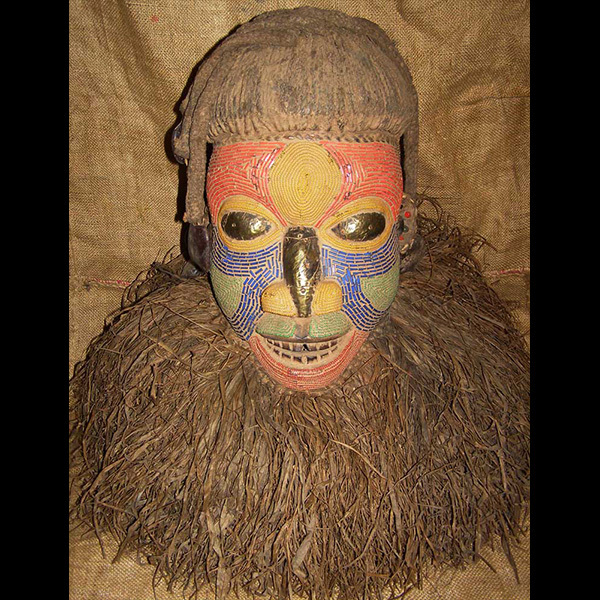 It features hand hammered brass on the eyes and nose, and a very encrusted patina, traditional of Bamileke masks. 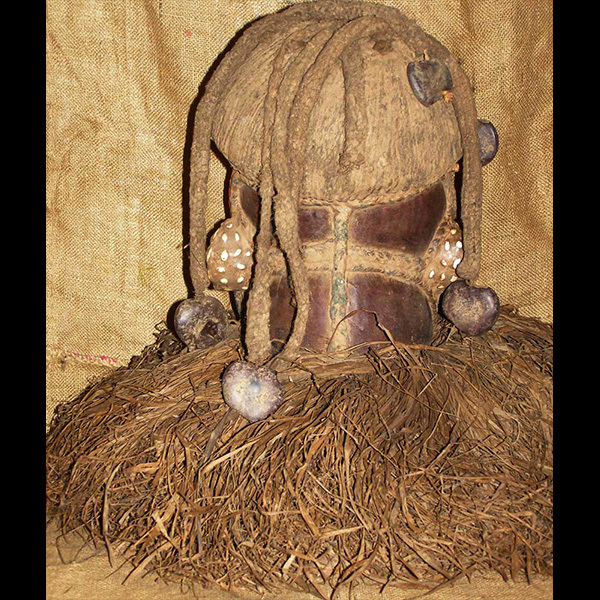 The beads are solid, the large raffia attachment is full and bushy, and the dreadlocks are firmly attached. A magnificent piece, in exceptional condition.